Try the delicious cashews and oatmeal as a refreshment! If these are blended into crunchy cookies, the combination of them will reinforce each other's taste. 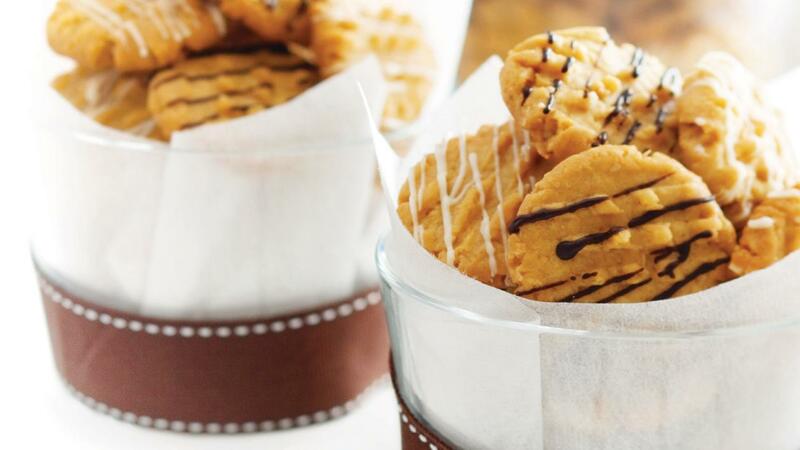 Slowly melted in our tongue, they give an extraordinary taste of cookies! Whisk margarine, the icing sugar, Skippy, and the palm sugar until they are smooth. Then, add the egg yolk and other ingredients and mix them well. Put and arrange the cookies dough in a pan well. The, bake the dough in the oven at 150⁰C until they are ready to serve.